This is probably our favorite puppy age! They are so cute, fun, cuddly and they are just starting to explore. When they nibble on us it tickles. They love to play and still be held. Snow II puppies will begin to be weaned at the beginning of this week and Little Anne’s puppies will start to be weaned at the end of this week. Fall puppies are loving the warm weather! Our fall puppies are doing great! They have teeth coming in and they are starting to eat soft puppy food and colostrum. We take them for walks several times a day in our baby slings. They love it and it is great for their development. We always stop and put them down in the grass to look around. They will start exploring soon! 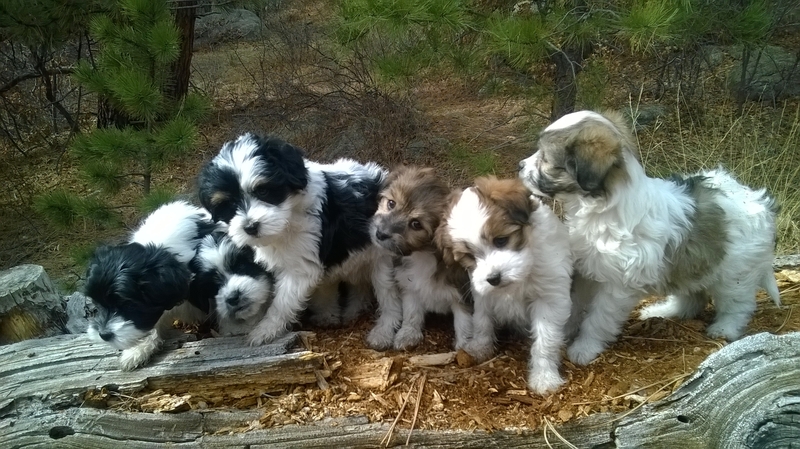 We have two litters of puppies this fall. Snow II had a litter of eight and Little Anne has three puppies. We have two litters of puppies this spring. Kumba had a litter of three puppies and Kaya had four puppies! They will be ready for their new homes in June. 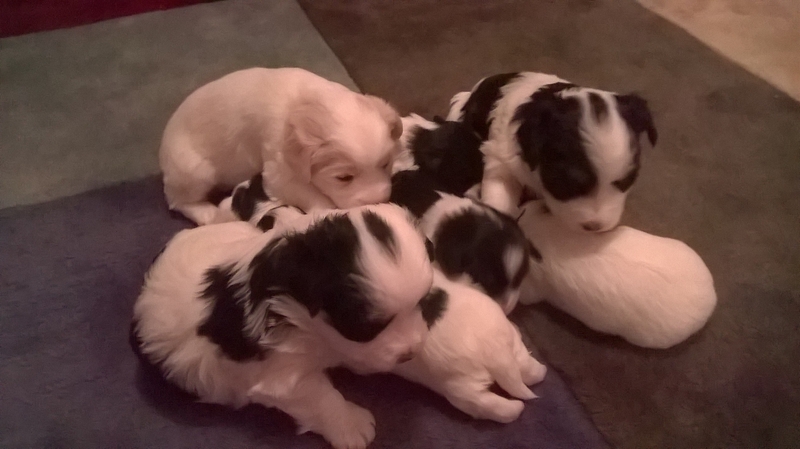 Below you can enjoy pictures and videos from our winter litter with Lady Lassie.